Wisps of clouds look just like smoke from Alpine Road at Skyline Boulevard. 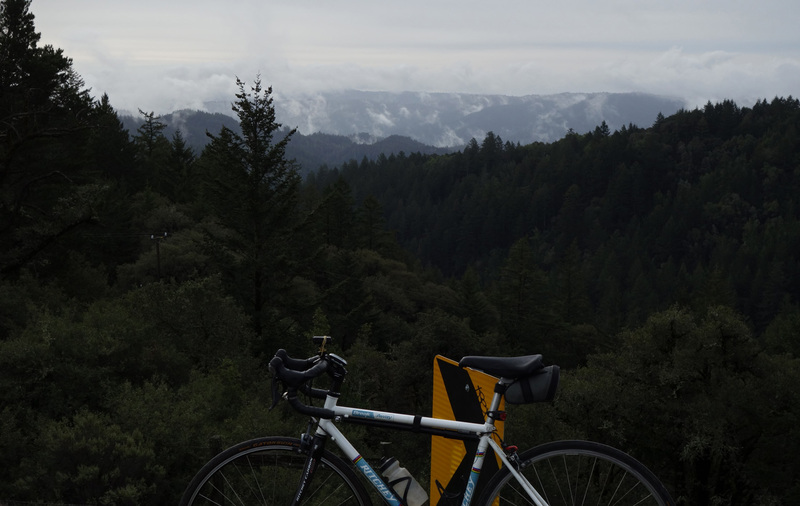 There’s always something new to see on Skyline Boulevard, even when it’s a cold gloomy day. Sometimes when the weather conditions are right, wisps of clouds hang over the mountains, looking for all the world like smoke. Aside: Found out guy who stole my Ritchey last year got nabbed in December stealing packages from people’s doorsteps. In jail. Justice served. This entry was posted on February 2, 2016 at 6:46 pm and is filed under News. You can follow any responses to this entry through the RSS 2.0 feed. You can leave a response, or trackback from your own site. Glad to hear you got your stolen bicycle back. Because you updated the original article instead of writing a new one, I never got a notification in my RSS reader so did not see it.